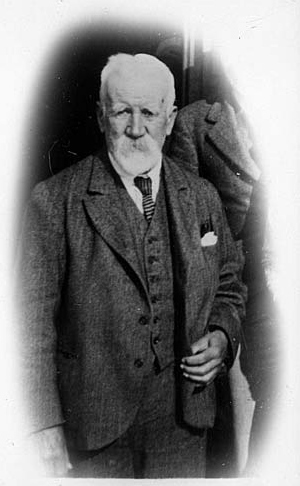 Frederick and Elizabeth Whitehead were born at 3 Lansdowne Terrace (now numbered 5 Willes Road), Frederick on the 6th January, 1853 and Elizabeth the following year on the 21st November. 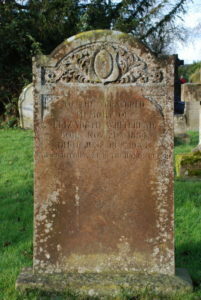 The Whiteheads had been farmers and brick makers in the town since the eighteenth century but William, the father of Frederick and Elizabeth, had become a carver and gilder, employing 3 men and 2 boys. The family home served as a studio and exhibition space with a workshop at the rear. Young Frederick had his first lessons in drawing and painting from the Irish artist Richard Rothwell when he stayed with the family, and he was tutored later by John Burgess, a well-known artist then living and teaching in the town. Unfortunately for Elizabeth, girls were not allowed this kind of tuition in mid-Victorian times, but she did attend the Leamington School of Art at the same time as Frederick. Living in a house that also acted as an exhibition space for local artists both brother and sister would almost certainly have come under the influence of painters such as Thomas Baker. Both Frederick and Elizabeth later studied at the Académie Julian in Paris for 3 years, travelling together in the French countryside and painting during the summer months. The Académie was important for Elizabeth because, although men and women were taught there separately, women were not only admitted but allowed to take life classes. 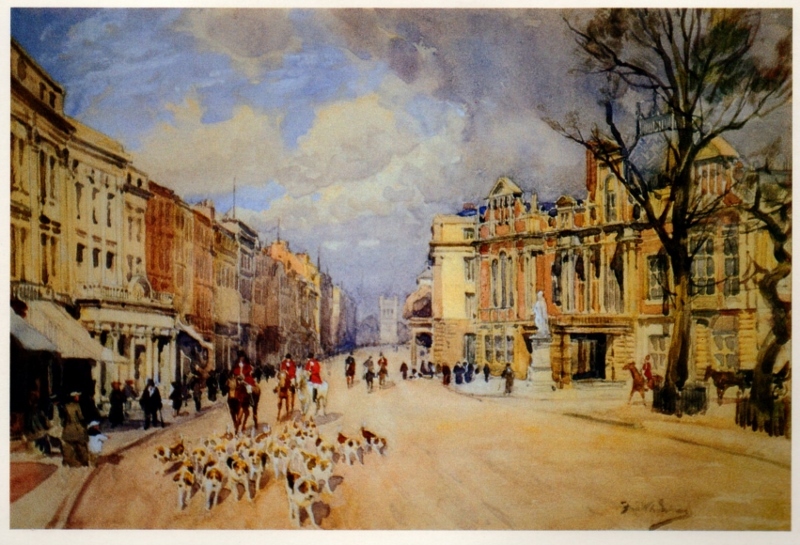 Frederick continued to paint and travel widely and exhibited at the Royal Birmingham Society of Artists in 1870. He exhibited at the Royal Academy from 1881 to 1893 as well as in leading galleries throughout Great Britain. He was very fond of Dorset and began to paint there in 1893. Soon after, at the age of 40, he married Beatrice Case, a well-known singer and pianist. During their long married life, they lived in London during the winter and travelled in a caravan throughout Dorset in the summer months. Like his artist-hero Constable, Frederick liked to paint in the open air, with its changes of light and atmosphere. While mainly known for his landscapes, he also produced still life, architectural and portrait paintings. He was skillful in both oil and water-colour. It would seem that Frederick’s younger sister, Louisa (who acted as the family picture seller), and Beatrice did not get on, consequently, Frederick rarely visited Leamington after his marriage. However, he did illustrate 3 books on Warwickshire between 1881 and 1916. He continued to paint, dying in London at the ripe old age of 85 on the 12th February 1938. On returning from France, Elizabeth taught art. She never married but lived and taught at the family home for the rest of her life, travelling occasionally around England, Europe and North Africa with her friend (also called Elizabeth Whitehead) On a visit to North Africa she contracted typhoid which left her deaf and needing to communicate using a slate and chalk. At a difficult time for women artists, Elizabeth was encouraged to concentrate on still life painting and became a consummate painter of flowers, admired, amongst others, by Augustus John. However, she also painted landscapes and coastal subjects. 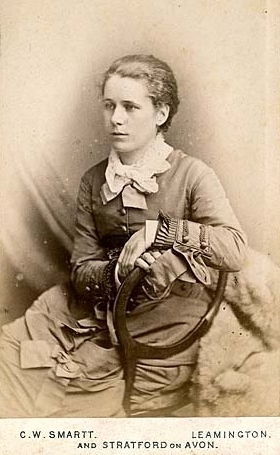 Her work was exhibited at the Royal Academy, the Society of British Artists and at the Royal Birmingham Society of Artists from 1877-1897. She died at 5 Willes Road on 18 June 1934 and is buried in Brunswick Street Cemetery.